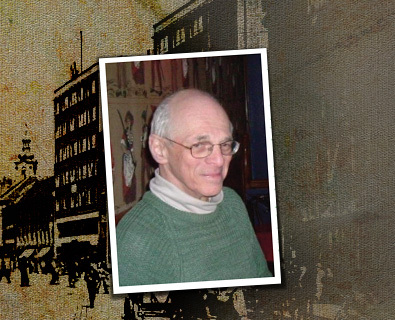 What led you, a successful microbiologist who has lived more than 45 years in America, to write a book Bratislava Pressburg Pozsony: Jewish secular endeavors (1867-1938)? A distant relative, who has been preparing a website on the genealogy of the family, asked me that I send him my life story and the biography of my parents and other relatives. Among them was also the architect of the "Manderla" building in Bratislava. Therefore, I began collecting material about the architect Emerich Spitzer. Finally, it led me to put together material about other architects of Jewish origin who worked in Bratislava. In addition, I found that new books on Jewish Bratislava are concentrated mostly on religion, synagogues and cemeteries. Published data on the secular activities of professionals of Jewish descent have been mostly incomplete and often incorrect. It concerned activities for which religion or nationality make no difference, which were part of the cultural, economic, medical and sports life in Bratislava. To forget the contributions by experts of Jewish origin would be a big mistake and it would be unfair. Therefore, I decided to write a book about this. 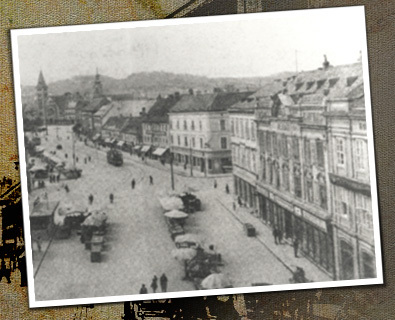 What was the status of Jews in Bratislava before the 2nd World War and how did the Jewish community enrich Bratislava at that time? My book fully answers this question. Since 1867 Jewish citizens of Hungary gained the same rights as Christian had. This remained true in the first Czechoslovak Republic. That is why the "secular" contributions by the Jewish population represented a substantial part of the economic, cultural, sports and medical life in the city. How did you obtain information for your book? A source of information for me was the Public Library of New York, where one can find many old Bratislava newspapers and also German books on Bratislava. I also used publications at the Library of the "YIVO Institute of Jewish Research" in New York, Slovak internet bookstores, Bratislava archives, and sources from the Slovak Academy of Sciences. 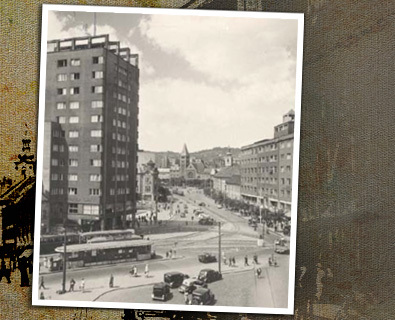 A valuable resource for me was information provided by the owner of a carpet shop in Bratislava, and also information from former colleagues and their families in Bratislava, as well as photos from friends who lived there before February 1948. What did surprise you mostly when writing the book? That I knew so little about my own relatives and pre-war Bratislava. It is therefore necessary to write with a similar outlook books on other cities in Europe. Does Bratislava have any specific role in the Jewish world? 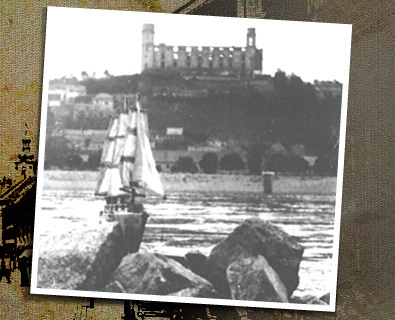 The world of my book begins in 1867 and more or less ends with the year 1938. Similar books exist only about Budapest, and, as far as architecture and trade are concerned, about Berlin. Perhaps, since Bratislava has become now seemingly different from other places, I hope that this gap will disappear over time when other authors will write about the places where they lived (and not just about themselves). You were born in Bratislava and lived there for 31 years. What are your memories of this city? Regarding my first six years, I have fond memories. But then came a great turning point and life has changed from excellent to unbearable. But I continued to have some good friends with whom one could exchange "Jáchymov" jokes (comment: jokes resulting in transport to work in mines as punishment if overheard). How do you feel about Bratislava of today? After the defeat of communism, I visited only twice for short periods. My former colleagues say that the city is more beautiful every day. Where can interested people buy the book? Are you planning a translation of the book into Slovak? The book will be available in several forms with different prices. It will be possible to order it on foreign websites: Xlibris, Amazon, Barnes & Noble, AbeBooks, etc. It will be available in the form of an E-book. Hopefully, interested people will be able to buy it in Bratislava bookstores. Personally, I do not plan a translation into Slovak. What do you wish for Bratislava in the years ahead? A streetcar line between Bratislava and Vienna, meritocracy, 100% democracy, and international character.